Visit the Bills' official website for your daily fix of team information. The Buffalo Bills added international zest to their offseason. 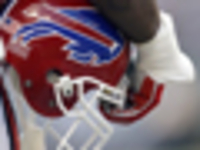 On Monday, Christian Wade, a former rugby player, was assigned to the Bills as part of the NFL's International Player Pathway Program. The Bills have signed cornerback E.J. Gaines, who played for them in 2017, to a one-year, $3.6 million deal, per NFL Network Insider Ian Rapoport, and the Jets re-signed linebacker Brandon Copeland. While many critique QB Josh Allen, new Bills wide receiver Cole Beasley suggested Allen's potential was part of the draw of signing with Buffalo. He drew that conclusion after watching film of Allen's rookie year. Bills general manager Brandon Beane is pissed off over the outside perception of Buffalo after a potential trade for wideout Antonio Brown fell through. The Buffalo Bills have agreed to terms with former Ravens WR John Brown to a three-year deal and former Cowboys wideout Cole Beasley to a four-year contract. The Lions are closing in on signing former Seahawks cornerback Justin Coleman. The deal would make Coleman the league's highest-paid nickelback at $36 million over four years. Trade talks between the Pittsburgh Steelers and Buffalo Bills for disgruntled wideout Antonio Brown have fallen through, according to NFL Network Insider Ian Rapoport. Brandon Marshall's time with Denver appears to be coming to an end. The Broncos have informed the LB they are likely to not exercise his option. The Buffalo Bills spent the offseason searching for their franchise quarterback. With Josh Allen under center, GM Brandon Beane is relieved he doesn't have to search for a QB again this year. Buffalo Bills defensive tackle Kyle Williams announces he is retiring from football following Sunday's game against the Miami Dolphins. Williams played his entire 13-year NFL career with the Bills. Signed off of his couch by the Bills earlier this season, Matt Barkley can now move the rest of his furniture to Orchard Park. Buffalo handed Barkley a two-year contract extension through 2020 on Friday. Buffalo Bills quarterback Josh Allen has made strides over the past four games since returning from an elbow injury. Head coach Sean McDermott said the rookie QB looks like a different player. Buffalo Bills kicker Stephen Hauschka suffered a hip injury on a blindsided hit by Jets defense end Henry Anderson. "There's no place in our game for plays like that," Bills coach Sean McDermott says. LeSean McCoy exited Sunday's loss to the Jets in the first quarter with a hamstring injury. Per NFL Network Insider Ian Rapoport, McCoy is day-to-day with a hamstring strain. The Dolphins pulled off a miracle in Miami and Patrick Mahomes was his usual magical self in the Chiefs' comeback win against the Ravens. Here's what else we learned from Sunday's Week 14 games. The Buffalo Bills waived veteran wide receiver Kelvin Benjamin. Coach Sean McDermott said at the end of the day it just didn't work out for them. Former Buffalo Bills wide receiver Kelvin Benjamin has signed a one-year contract with the Kansas City Chiefs. Benjamin was released by the Bills on Tuesday. Bills WR Kelvin Benjamin described his 2018 season as "rock bottom." Benjamin is averaging just two catches per game this season. Can he turn it around for the remaining slate of games? 4/22 T.J. Yeldon (RB) Unrestricted Free Agent Signing (unrestricted free agent signing). 4/10 Eli Harold (LB) Unrestricted Free Agent Signing (unrestricted free agent signing). 4/9 Eddie Yarbrough (DE) Exclusive Rights Signing (exclusive rights signing). 4/5 Quinton Spain (OG) Unrestricted Free Agent Signing (unrestricted free agent signing). On January 11, 2017, the Buffalo Bills named Sean McDermott the 20th head coach in franchise history. McDermott enters his first season as Buffalo's head coach and his 19th season in the NFL ranks. McDermott joins the Bills after spending six seasons as the defensive coordinator of the Carolina Panthers where he developed a unit that is considered to be one of the best in the NFL. McDermott led the Carolina defense to a top-10 finish in four of his six seasons in charge. Over the past six seasons, the Panthers defense ranked second in the NFL in sacks (261), third in turnovers forced (169), sixth in rushing yards allowed per game (103.3), ninth in yards per game (339.1) and 12th in points allowed per game (22.1). In his time in Carolina, McDermott helped the Panthers to three division titles and a trip to Super Bowl 50. In 2016, McDermott's defense put up impressive numbers in multiple categories. Despite not having any player with over 10.0 sacks, the Panthers finished second in the NFL in sacks (47). Carolina also finished second in red zone defense (43.64%) and sixth in run defense (91.6). In 2015, McDermott's defense helped lead the way for the Panthers' 15-1 regular season and run to Super Bowl 50. The Panthers ranked second in the NFL in yards allowed per play (4.9), sixth in scoring defense (19.3) and total defense (322.9). The defense led the league in interceptions (24), takeaways (39), points off turnovers (148) and turnover differential (+20) and tied a franchise record with four interception return touchdowns. Four of McDermott's defenders -- linebackers Thomas Davis and Luke Kuechly, cornerback Josh Norman and defensive tackle Kawann Short -- were named to the Pro Bowl and earned All-Pro honors. In 2014, McDermott guided the defense to another top-10 finish. Carolina forced 20 fumbles, second in the league, and tied for 10th in takeaways with 26. In 2013, McDermott was named The Sporting News Coordinator of the Year when his unit ranked second in total defense (301.3). The Panthers also led the league in sacks (60) while finishing second in scoring defense (15.1). The defense helped propel Carolina to a 12-4 record, an NFC South title and the team's first playoff appearance since 2008. In allowing the franchise's fewest points since 1996, the defense set a team record with an NFL-low 21 touchdowns allowed. In 2012, McDermott led Carolina to rank 10th in total defense â€“ an 18-spot improvement from 2011 - as Carolina finished in the top 10 in sacks, third-down conversion percentage and negative plays created. In McDermott's first year with the Panthers in 2011, his defense overcame youth and injuries to produce key stops and takeaways that contributed to wins in four of the final six games. McDermott came to Carolina following 12 seasons with the Philadelphia Eagles. He spent his last two seasons in Philadelphia as defensive coordinator, helping the Eagles to the playoffs in each of those seasons. During his tenure with Philadelphia, McDermott contributed to six division titles, five NFC Championship appearances and a trip to Super Bowl XXXIX. In 2010, McDermott led one of the league's youngest defenses to top 10 rankings in takeaways and sacks. In his first season overseeing the Eagles' defense in 2009, McDermott was named the NFL's top defensive coordinator by Pro Football Weekly after his unit ranked third in the NFL with 38 takeaways and 44 sacks. Philadelphia also finished second in third-down defense and fifth in yards per play allowed. McDermott coached the secondary and linebackers before becoming defensive coordinator, learning under the late Jim Johnson, the Eagles' legendary defensive coordinator. Tutoring the defensive backs in 2008, McDermott helped the Eagles rank third in the NFL in pass defense and second in net yards per pass play. Free safety Brian Dawkins and cornerback Asante Samuel garnered Pro Bowl recognition, and strong safety Quintin Mikell captured second-team All-Pro accolades. In 2007, McDermott took over the linebackers after serving as the secondary/safeties coach from 2004-06. Dawkins was a Pro Bowler all three seasons, and fellow safety Michael Lewis joined him in 2004. McDermott worked as the team's assistant defensive backs coach in 2003 and as the defensive assistant/quality control coach from 2001-02, assisting with linebackers. He joined the organization in 1998 as a scouting administrative coordinator before being promoted to assistant to the head coach in 1999.